With rampant abnormalities, aberrations and unpredictability in the weather systems across the globe, the smartphone apps market has been bombarded with numerous such applications which boast of providing the most accurate, reliable and consistent information to the weather enthusiasts. Most of them fail to live up to the hype and leave the end-users disillusioned. Several reasons such as outlook, performance, stability, compatibility and many more can be attributed to their disappointment. However, the developers continue to remain indulged in a perennial struggle for creating such a weather app which ends up as a world beater on all fronts. Weather Mate is one of the most advanced, sophisticated and comprehensive weather apps designed for iPhone and iPad and provides highly precise, accurate, reliable, consistent and localized weather forecasts. 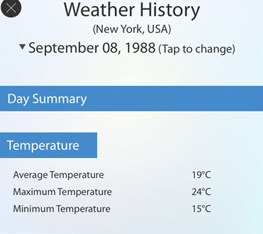 A lot of emphasis has been laid on the quality, accuracy, authenticity and swiftness of the weather reports during the designing and development phases of the app. Another critical aspect that has been focused in Weather Mate is the provision of high-end forecast and predictive weather tools and their ease-of-use for the users. Unlike most of the contemporary apps, we envisage that the users should have access to high quality yet user-friendly mechanisms integrated in the app to quench their thirst for staying updated with the current weather conditions. We provide the most localized weather conditions from the network of 33,000+ personal weather stations. Ever wondered how the weather was like on a specific day a few years back in your area? 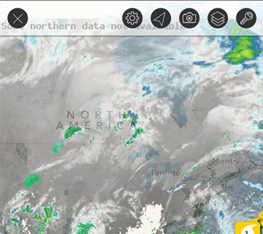 With our comprehensive weather archive you can now view historical weather data for any worldwide location for any day in the past, going back several decades. 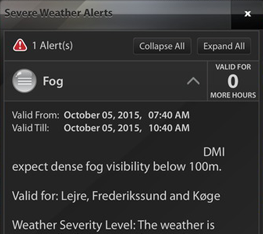 Don’t let bad weather take you by surprise ever again with Weather Mate’s real-time push notifications for severe weather watches, warnings, advisories and all other alerts from National Weather Service (for USA / Canada) and MeteoAlarm (for Europe). 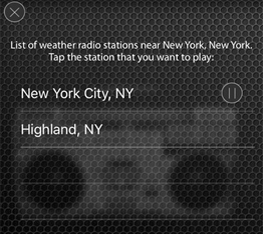 Weather Mate lets you listen to NOAA Weather Radio, which is a nationwide network of radio stations broadcasting continuous weather information from the nearest National Weather Service office. It broadcasts official warnings, watches, forecasts and other hazard information. If you prefer a widgeted display, we have Advanced & Basic display modes, which provide a plethora of weather information in a beautifully carved UI layout. If you prefer to see the stunning weather backgrounds in their full awesomeness, simply switch to the Text-only mode. Yes, you read that right. If for any reason, you are feeling too lazy to open your eyes & take a look at the weather info in the app, you can simply triple tap on the main weather screen anywhere and the app will read out the weather conditions for you, aloud. Stunning real-time hi-definition animated radar images on a fluid responsive map. Lots of other layer options including Satellite, Severe Alerts, Weather Stations, Fronts, Fire Risk, Active Fires, Hurricane, Webcams, Lightning, Tornadoes, Storms, Earthquakes. Planning a trip to an alien location but not sure what’s the best time of the year to visit it from a weather perspective? 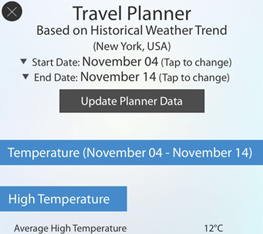 Weather Mate now boasts a Travel Planner which provides comprehensive weather summary between the specified dates based on historical data. Now you don’t have to add a new location in the app manually every time you move from one place to another. 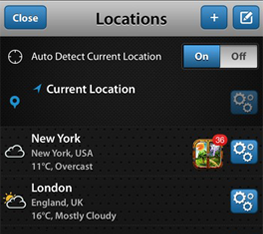 The app follows you, automatically updates your current location & shows weather data for it. 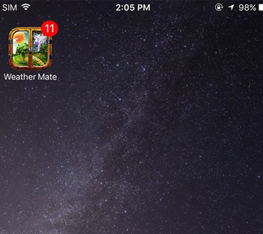 The current temperature of your location is shown on Weather Mate’s icon right on your home screen. So if you are in a hurry & quickly want to know your current temperature, just take a glimpse on the app’s icon. No need to actually open the app. Want to boast the awesome weather conditions of your town to your friends? Or want to warn your family of the storm approaching them, through a radar image? You can do that all with just a couple of taps in the app, to share the on-screen info via email, facebook or twitter. 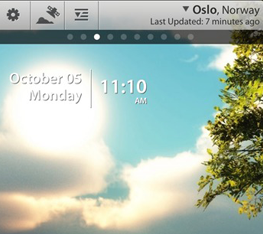 Live the Weather on your Weather Mate’s main screen! Weather Mate comes loaded with tons of amazing and spectacular live weather backgrounds. 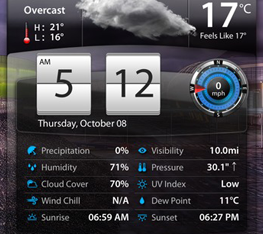 These phenomenal animated weather themes match the current weather conditions in your locality.